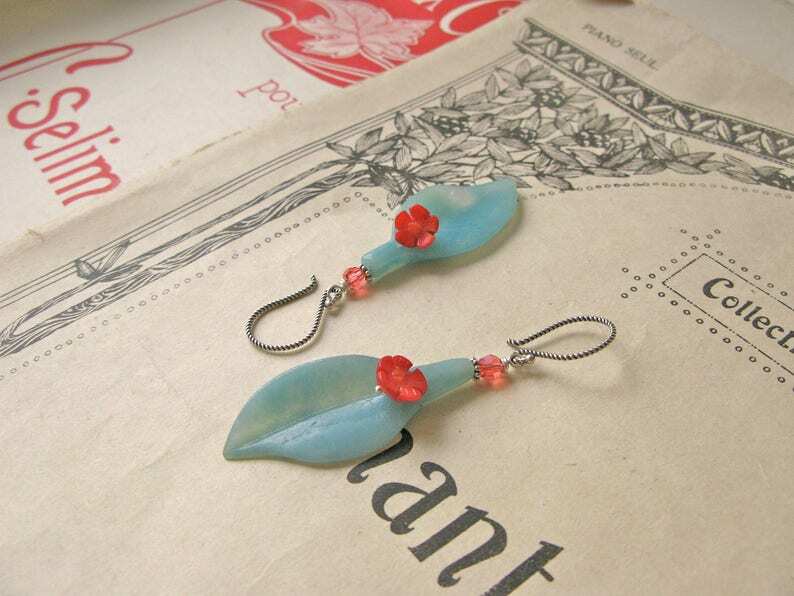 These stunning earrings feature dreamy amazonite gemstones carved into a leaf shape, red coral carved flowers and swarovski crystals. Wrapped with silver wire, also hooks and other small findings are sterling silver. Length 6,5cm. Size of leaf approx. 43mm x 15mm. Handmade with love and care in my little studio in Helsinki from great quality materials!